Outsourcing IT | IT Support New York and Westchester | InfoManage Corp.
As the new year kicks off, most companies have a robust list of objectives to accomplish in the coming months. For many, this includes adding additional IT staff or outsourcing IT by enlisting the help of an MSP (Managed Services Provider) to support future growth. In fact, the use of MSP services has increased sharply. Two years ago, studies found that only 30 percent of organizations had adopted MSP solutions. 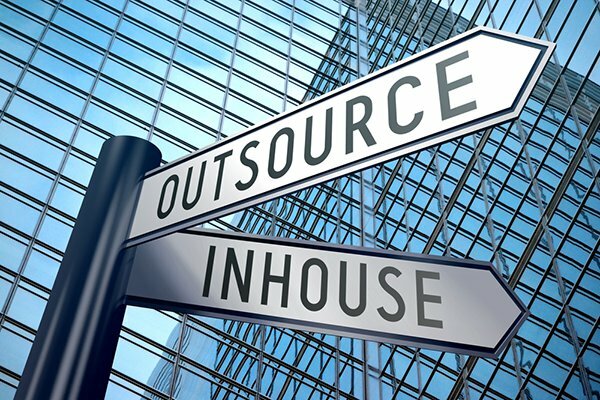 Today, that number has spiked with 66 percent of companies saying they outsource IT. Yet why are so many companies turning to MSPs? Efficient resource allocation. As with any department, balancing the needs of the organization with staffing is difficult. For example, maybe you hired additional IT staff because you’re opening new locations. Once those demands slow down, however, you don’t want idle staff, which depletes resources. An MSP allows you to efficiently allocate resources and set monthly budgets that are predictable and meet your exact demands. The ability to scale quickly. Business needs are a moving target, and part of being successful is the ability to compete with greater agility. MSPs provide resources that help you maneuver with greater flexibility. IT-related distractions are removed. Nothing slows productivity down faster than IT challenges. Productivity grinds to a halt, and all work ceases until a solution is found. MSPs find that solution faster so downtime is minimized. As a result, staff is freed to focus on mission-critical objectives rather than fixing IT problems. Tapping into specialized talent at a reasonable cost. Acquiring specialized IT talent is a challenge. Even if you locate the right talent, the cost of acquiring that talent can be high. MSPs allow companies to tap into the exact talent they need without high, ongoing cost — providing a competitive advantage. Added security and compliance. Evolving compliance and security demands are a major concern for many companies. MSPs can provide technology resources and expertise that meet those demands. Do you have questions about security solutions? If so, we can help. For more information, contact InfoManage online or call 212-931-0705.